Why do some of us want to go through a whole lot of trouble to visit the remains of people who died long ago? There is this thing about cemeteries. Visiting them is an understated joy, and a neglected part of most touristic and sight-seeing escapades. But once you acquire a taste for listening to the sounds of silence, few wanderings are as rewarding. Most people who visit cemeteries have one of two common-most responses: they either feel what they call “a sense of peace” or a feeling of morbidity, darkness, depression and melancholy. But for serious cemetery enthusiasts, it is not much of either. Cemeteries are places resplendent with art, history, symbolism, culture and most importantly spirituality. You can know more about a people by visiting a cemetery then you ever will by going shopping in the same area. As I became a tombstone tourist as they call it, I learnt terms I never knew earlier. I found out that tomb is a commonly used word, but mausoleum is a building specifically constructed for people considered important. The empty tombs are cenotaphs. A coffin is the (usually) wooden case for keeping a dead body and sarcophagus is a similar case made of stone. A chest or case box or well with remains of the human skeleton is an ossuary. Catacombs are interesting underground cemeteries, interconnected by tunnels. And then there is the necropolis, a place where large numbers have been buried and traces from olden burials still remain. Technology has made life easier for gravers as well as geneaology enthusiasts. Websites like ‘Find A Grave’ and other mapping sites tell us exactly what we are looking for. Yet, you don’t always get personalised experiences on the internet. For that, one must chat with people who share similar interests. Whenever you visit such a site, observe how visitors quietly exchange glances, trying to assess how the others are reacting. We feel pressured to react in expected ways. But if we let go of that strain and breathe in the experience, cemeteries have a lot to offer. 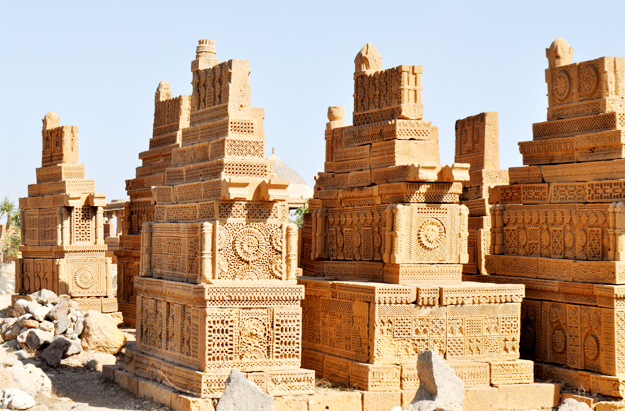 Sites like the underrated Chowkandi Tombs near Karachi and Makli near Thatta are often neglected. I have been lucky enough to discover the wonders of Pakistan’s culture by delving into them. It is almost like going through an album of photographs of a people or reading biographies. Just look out for the nuances. The people buried there are inarguably dead, yet their lives are being celebrated. In that sense, cemeteries are very futuristic places. They are an extension of life as it slides into another realm, no matter what belief system you belong to. But few, apart from connoisseurs with a taste for the macabre, have an appreciation of how humans honour their dead. There is an unsaid paranoia when it comes to homes of the deceased. It’s almost as if talking about it will kill us before time. Like a bad omen. We miss out, thus, on so much beauty and a deep study of culture. And so when you visit a cemetery, tread a little lightly, move a little cautiously. You may be stepping on an entire lifetime if memories, wrapped up and resting underneath your feet. Each cemetery has its own story to tell and is uniquely beautiful. Out of the ones I visited other than within Pakistan, these three impacted me the most. The temperature is below freezing. It is my last day in Paris. I am taking a city walk. In my broken French I ask passersby about any nearby cimetière, trying to roll the “r” correctly, making it as guttural as I could. I’m led to the Montparnasse Cemetery. 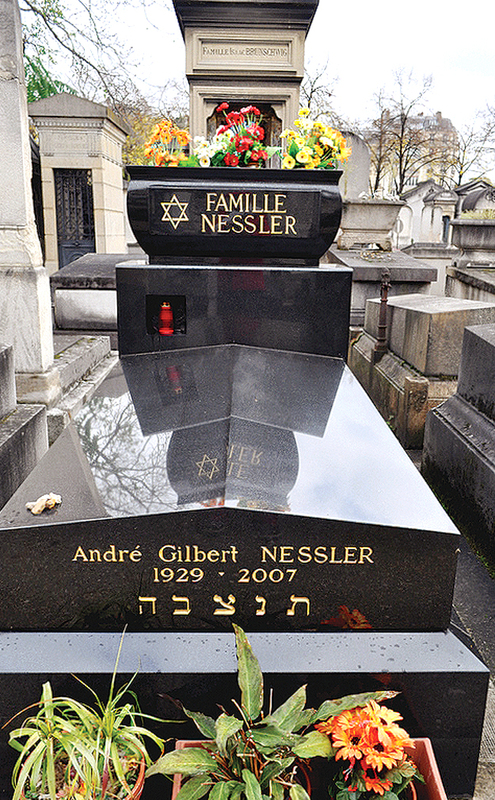 For months, I had been planning to visit cemeteries in Paris. “Hey Florent. I will be traveling to Paris soon. Can you tell me about cemeteries I must visit? I am willing to travel anywhere for that,” I wrote a few months back to a French friend who was guiding me about how to make the most of a visit to Paris. Paris — of the Eiffel and the Moulin Rouge and the River Seine and the Louvre. I was travelling to a dream destination. Yet, what I wanted to visit most were the repositories of the best of France, now dead, yet alive. Florent Condé told me about clandestine tours of the Catacombs through hidden entrances into tunnels that through the city. “That’s technically forbidden. 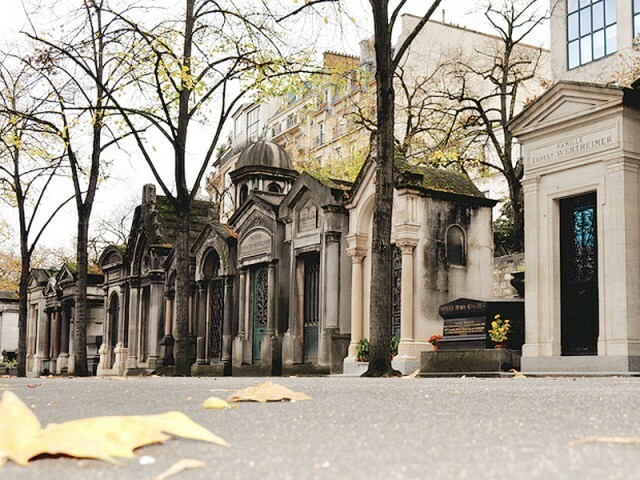 I haven’t had the chance yet to do that,” he wrote back, adding tempting names and details of Parisian cemeteries. The fellow taphophile had given me just the info I needed. Standing in front of the Montparnasse Cemetery, a dream had come true. Shaded by around 1,200 trees such as lime trees, conifers, maple and ash, it is one of the most peaceful parts of Paris. Home to 35,000 plus tombs, some 300,000 people have visited it since it opened its gates in 1824. Montparnasse is often called the Cemetery of the Intelligentsia and there is a certain energy and vibrance in the quiet there. Understandable, with residents like Jean-Paul Sartre, Samuel Beckett, Sosan Sontag, and a cenotaph of Charles Baudelaire. The Jewish side of the cemetery was a new and impactful experience, with families and clans making up an important part of the design. I brushed the cobwebs off medals of World War I veterans carved onto graves, and saw Brancusi’s statue called ‘El Beso’ or The Kiss, sitting on top of the tomb of Tania Rachevskaia, a Russian anarchist who had committed suicide for love. It was honestly something I was not prepared for and had not researched in advance. On the drive from the airport to the far-end Poblenou district of Barcelona, there it was, sprawling on the hills, unlike any cemetery I have ever seen. 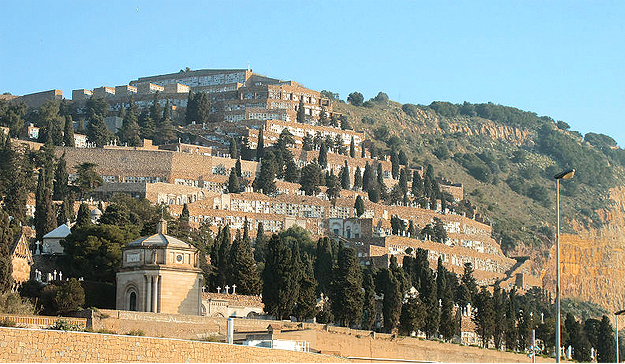 Mediterranean graveyards are different as the dead can be buried in walls many storeys high. The cemetery is like a miniature city, lined by cypress trees and plants and full of architectural and artistic delights. Opened in 1883, this cemetery has more than one million burials and cremation ashes in 150,000 mausolea, plots and niches. There are fascinating stories going around about how the cemetery was originally divided into four sections — one each for Catholics, Protestants, non-Christians, and the fourth for aborted feotuses. Also known as Cementiri del Sud-oest, it is picturesque, with a view of the sea from top of the rocky hills. Interesting residents include Joan Gamper, founder of FC Barcelona, and surrealist maestro Joan Miró, who is buried in a plain, small family vault. Along with renowned personalities, 4,000 victims of the Civil War are also buried here. For the longest time, I did not know that the pyramids were a kind of graveyard. I visited them when young, but the images and even smell and feel have not left me. Inside, there are passages that are narrow, damp and almost claustrophobic, with warnings for people with lung and heart diseases. But they lead to huge halls that have the feel of being a nexus between life and after-life which is what the ancient Egyptians believed in. They said goodbye to the deceased making sure he or she had enough provisions to lead them through. The mummies, decorated multi-layered coffins, representational art-like individual portraits of the deceased, canopic jars with the organs, aesthetic objects like jewellery and clothes and even incense was made available. The tombs were constructed as places that would be conducive to the re-birth. In a weird way, thus, the pyramids symbolise continuity and hope. They tell you that this is not it. From the outside, the grandeur is legend. Even the chipped off nose of the majestic Sphinx does not make it less royal. There are three main Pyramids in Giza, which draw attention to the Giza necropolis, reserved for the royalty and elite, as long ago as the end of third millennium BCE. Three pharaohs rested here, turn by turn — Khufu, Khafre and Menkaure. In adjacent smaller pyramids and cemetery were the Queens and members of royalty. 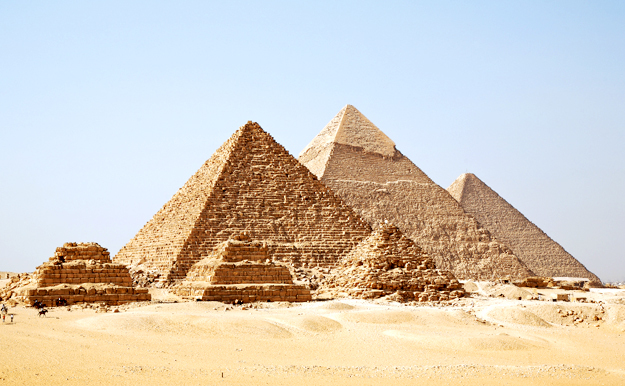 The pyramid of Khufu is the largest, and is one of the last remaining of the seven wonders of the ancient world. But where are the men who built the pyramids buried? I may never have an answer to that. Farahnaz Zahidi heads the Features desk at The Express Tribune. Published in The Express Tribune, Sunday Magazine, May 11th, 2014. Posted in Travel Blogs and tagged Barcelona, Cairo, catacombs, cemeteries, cemetery, Charles Baudelaire, Egyptology, FARAHNAZ, Farahnaz Zahidi, Giza, Montjuic cemetery, Montparnasse cemetery, Paris, pyramids, Samuel Beckett, tomb tourist. Bookmark the permalink.